TAZ is up and running! As previously mentioned, we’re the proud new owners of a LulzBot TAZ 3, which features an impressive build volume of 298mm x 275mm x 250mm. I finally got some time on Saturday right before the Milwaukee 3D Printing Meetup to do a bit more testing with it. We’ve got it loaded up with some 3mm blue filament that was provided by Coex, who graciously donated filament from one of their early test runs last year. We’ve not tried other brands yet, but we’ll get to that soon enough. The Coex filament required bumping the temperature up just a bit, but was flowing smoothly at 235. If you’ve used Slic3r and Printrun (which is what LulzBot recommends) you’ll be up and running pretty quickly. LulzBot provides a bunch of Slic3r profiles for you to get started with the TAZ. The design of the TAZ is really nice, with a mixture of extruded Aluminum, 3D printed parts, and laser cut parts, each being used where they make the most sense. The extruder is held into place with a French cleat style groove, and one bolt, which should make it easy to remove in the future if we need to do maintenance or repairs. For Milwaukee Makerspace members, if you’re looking for more info or to get trained, check the wiki page. If you’re not a member, come to an open night Tuesday or Thursday at 7pm if you want to see the TAZ or ask any questions about it. Sample print below. Not bad for a first attempt! 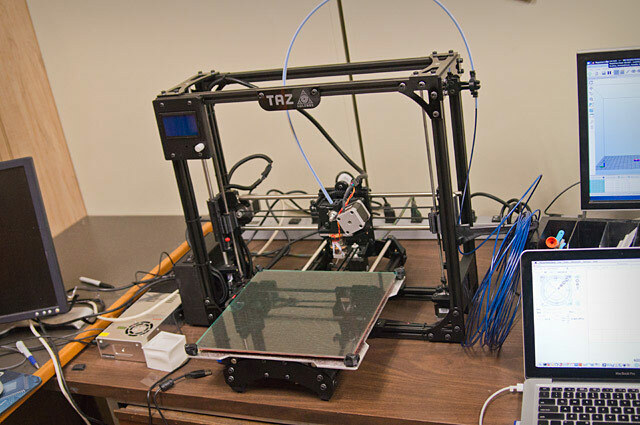 LulzBot is known for producing and selling open source 3D printers, and in the spirit of open source, they do their best to give back to the community. In the past they’ve helped make Slic3r better, and more recently they’ve done a printer giveaway to hackerspaces… and yes, we’ve been chosen! 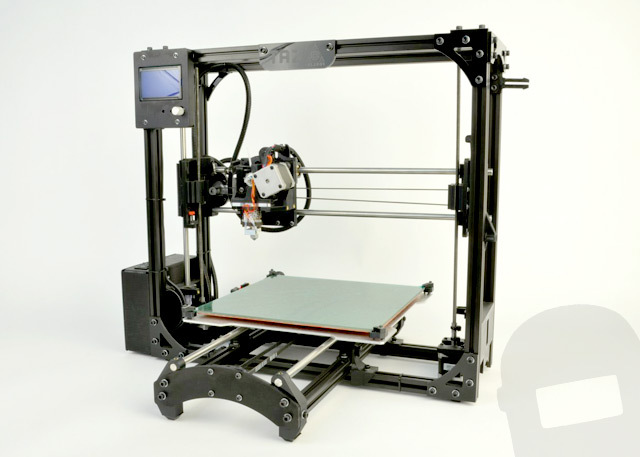 We are one of the LulzBot Hackerspace Giveaway 2014 Winners, and we’re pretty excited about it! We (as a space) acquired a 1st gen MakerBot Replicator (the one with the wooden frame) and it’s served us well (ok, we never quite got the second extruder working, and it was down for repairs more than a few months last year.) Anyway, the MakerBot has been our best 3D printer to date, but with a LulzBot TAZ on the way, we’re really hoping to up our 3D game to include bigger and better prints, and hopefully explore new materials like Nylon, wood, and NinjaFlex. 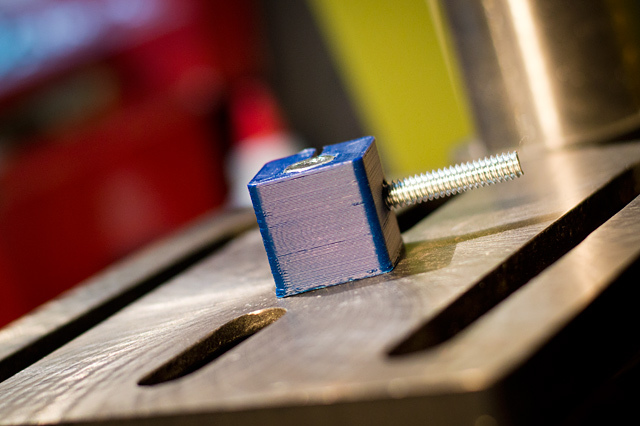 Being fans of open source ourselves (a makerspace is all about sharing!) 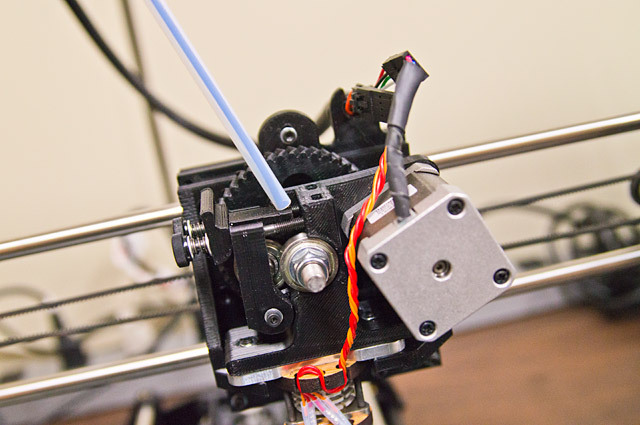 it’ll be great to have a high-quality printer for our members as well as events like the Milwaukee 3D Printing Meetup. Once we get the TAZ in and up and running, we’ll share the results. Thanks again, LulzBot!